If you think you know what your home is worth, and the cost of home replacement if it were leveled tomorrow, you may want to think again. You’ll want to think harder still if you’re uninsured, underinsured, or unsure. The cost to replace a home can often run much higher than it’s assessed or insured value, making the right home insurance policy more important than you may realize. If you’re shopping for or making adjustments to, your homeowners insurance, Smallwood Insurance Agency with two locations (Edagewater and Chevy Chase) in Maryland helps with a wide variety of insurance needs. If you pay a mortgage, you are often required to carry a home insurance policy. The bank owns your home, after all, and they want to protect their investment. Some mortgages will even have insurance “baked in.” Those whose homes are paid in full, or who are renting, are not technically required to have insurance. Whether or not it’s required, it is still a good idea to be insured on your own. When you consider the many scenarios under which you could lose your home to a disaster, or find yourself having to undertake expensive repairs or replace valuables, insurance ensures peace of mind. The policies offered by insurance companies vary, and each policy will typically be a balancing act among premiums, deductibles, and coverage. Reading and understanding the fine print is important since none of us wants to file a claim only to find that the issue for which we thought we were covered was not included. HO-1 is the most basic policy, protecting against damage or destruction resulting from fire, smoke, explosions, hail, wind, lighting, damage from vehicles or aircraft, civil unrest, vandalism, and volcanic eruption. It offers only limited coverage for loss of belongings. HO-2 (broad form) builds on the HO-1 and adds sleet, snow, ice, freezing, and damage due to burst pipes or power surges. It also often covers belongings and may provide a degree of liability coverage. However, like the HO-1, any perils not specifically named are not covered. HO-3/HB3 (special form) goes beyond named perils, instead naming exclusions to coverage. The HB3 is a variant popular for its inclusion of outdoor items (i.e., lawnmowers, boats, and the like) on your property, and in coastal areas (relevant to Marylanders), since it provides some coverage for flood and water damage. HO-4 (tenant’s form) is tailored to renters. It covers personal liability and personal belongings but does not provide structural coverage. This type of policy may also rely heavily on riders, which we will revisit later. HO-5 (comprehensive form) is similar to the HO-3 in that it excludes, rather than naming, perils. With that said, the range of exclusions is much narrower, and even the exclusions may have exceptions depending on your circumstances. HO-6 (condo form) is similar to the HO-4, but with a key difference: because you own the unit, there is limited structural coverage for the confines of your unit (the HO-4 offers none). HO-7 (mobile home form) offers similar coverage to an HO-3, but unlike that policy, is applicable to manufactured and mobile homes. HO-8 (older home form) is also modeled on the HO-3, but specifically addresses concerns to historic homes, registered landmarks, and other older structures. In a word, yes. In addition to in-depth knowledge about individual policies, the agents of Smallwood Insurance Agency also know the laws, rules, and regulations. That means valuable help if the time comes to file a claim, since you’ll have an advocate and a support system in your corner. Insurance Agents also help with a variety of other considerations not mentioned above. Insurance riders, sometimes called endorsements or floaters, extend coverage where your homeowner’s policy falls short. You may have blanket coverage of $50,000 for personal belongings but may have a collection of jewelry that’s worth that much on its own (and may also find that there’s a limitation on jewelry). Other collections that are large or highly valuable — art and antiques, electronics, and musical instruments among them — also benefit from riders. Your agent will advise on how best to protect your investment. There are situations in which insuring your home can be, or become, complicated. Maybe you have questions about flood insurance. Maybe you’re running a business from your guest bedroom, renting some part of your home to tenants, or trying your luck with home-sharing programs like Airbnb. In these instances, it’s best to speak to an insurance agent about your coverage needs. Online insurance often contains loopholes and pitfalls that erase what you might have saved on premiums when the time comes to file a claim. There are better ways to save on home insurance, and an agent will help you find them. 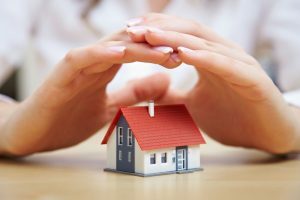 Every policy is different, but there are general provisions for discounts if you’ve invested in a good home security system, a newer and stronger roof, fire detection and suppression systems, and other upgrades or retrofits. We’ll have further advice, which we will explain when you get an insurance consultation. Time and again we’ve seen homeowners and renters alike running crowdfunding campaigns to replace belongings or get back on their feet, and the reason — in nearly every instance — is that they did not have insurance, or lacked the right insurance. Most of them thought it would be too expensive, only to find out the hard way that the cost of insurance pales next to the cost of rebuilding a home and a life when the worst happens. For help making sense of your insurance options, finding home insurance discounts, and protecting your home, contact Smallwood Insurance Agency in Maryland for a homeowner’s insurance consultation today.